This badge was issued to MAYA SHENOI on 05 May 2018. This architect can design, plan and architect a Cloud Infrastructure. The badge earner demonstrates knowledge of IBM Cloud Infrastructure concepts and architectural principles and has the ability to evaluate customers current state and architect an IBM Cloud Infrastructure solution. The individual also has demonstrated the applicability of IBM's Cloud management principle, and can provide infrastructure recommendations based on current industry best practices. 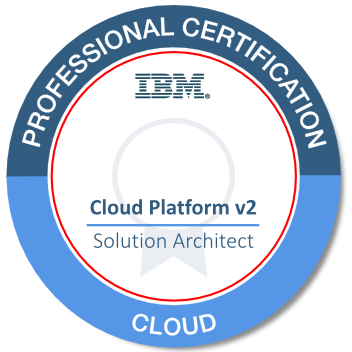 Successful completion of IBM Certification Test C5050-380: IBM Cloud Platform Solution Architect v2.